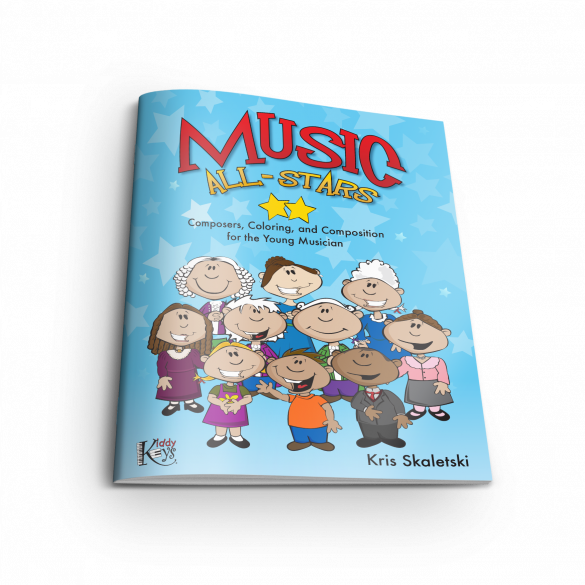 Composers, coloring, and composition for the young musician (ages 4 and older). 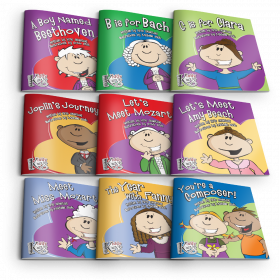 Complete with composer coloring images, life facts, a playful educational map of each composer’s world, and staff paper to compose. You’ll be a music all-star while you learn and have fun! 41 pages.